On World Mental Health Day, Shaheen Bhatt launched her memoir titled I've Never Been (Un)Happier in which she talks about her battle against depression and suicidal thoughts. 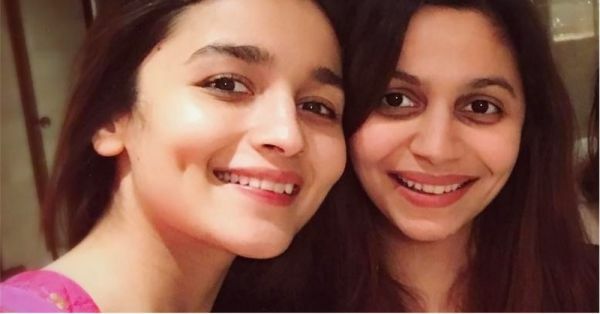 Her younger sister, actress Alia Bhatt also gave her sister a shoutout on her big day. The book is officially available on various online stores for pre-order! Shaheen has on various occasions spoken up about her struggle with the mental illness, including the piece she wrote for Vogue in which she opened up about her everyday battle. "I’ve lived with depression since I was 12 years old and since then I’ve been suicidal on more than one occasion. I’ve experienced the sheer terror of contemplating a life filled with unrelenting anguish, and I’ve been consumed by the terrifying thought of having but a single means of escape from a bleak, unbearable future," she wrote. Shaheen also shared an Instagram post in which she stated that she 'lived' with depression and didn't actually struggle with it. She also shared her thoughts on making the decision to talk about it on social media. Shaheed said, "A year and a half ago I chose to talk about my own experiences with depression on social media and even though I had never hidden that facet of my life, I was concerned about the judgment I would receive. Social media has given rise to a dangerous tendency to airbrush and filter our personal lives. There is so much value placed on false ideas of positivity and emotional prosperity that we present our lives as immaculate highlight reels entirely devoid of substance, and altogether devoid of the aches and pains of what it means to be human." In a recent interview with a leading newspaper, Shaheen's father, Mahesh Bhatt decided to speak up about depression and address the taboo that surrounds the topic. He said, "It’s a form of mental illness and it can be treated. When you suffer from diabetes then, you have to take insulin shots. Similarly, when you are prone to depression then you need to consult a doctor who can treat you through medication but, I think in our country, we are lacking in generating awareness about mental illness. Almost in every household people are suffering from depression." He even spoke about Shaheen's upcoming book, "My daughter Shaheen, Alia’s elder sister, she, at the age of 16 discovered finally that she is suffering from clinical depression. In October, she is launching her own memoir in which she has talked about the kind of struggle she has gone through in that phase."